Not as well known as some of its French cousins such as Cabernet Sauvignon or Merlot, Tempranillo remains a key grape in Europe. It is the main component of Rioja wines (a fact which alone places Tempranillo on a world stage), as well as many other appellations in Spain and Portugal. Tempranillo is originally from Spain, where it still grown extensively today. In Portugal, it Is know as Aragonez. The name Tempranillo is the diminutive of the Spanish temprano (“early”). This is because it ripens several weeks earlier than most Spanish red grapes. WHAT ARE THE KEY CHARACTERISTICS OF TEMPRANILLO? Tempranillo is not really known for its strong flavour profile. The fruit notes are usually rather dull, and the notes coming from oak ageing will tend to be predominant. In general, the main aromas associated with Tempranillo are strawberry, plum and cherry. It also often shows notes of tobacco, vanilla and leather, although this will come from the ageing more than the grape itself. Tempranillo does have a good acidity and tannin level, making it a great candidate for aging. Because of its muted flavour profile, Tempranillo often forms part of a blend. This is particularly true in Rioja – the home of Tempranillo. There, it is part of a blend that is similar to Bordeaux’s. Tempranillo (like Cabernet Sauvignon) provides ageing potential and tannin, while Garnacha (Grenache) brings flavours and roundness (just like Merlot does in Bordeaux). Other appellations famous for their use of Tempranillo (although the grape might have a known by a different name) are: Ribera del Duero, Valdepena and Dao (in Portugal). Many wine experts have described Tempranillo as being “savoury” rather than “sweet”. This makes a lot of sense considering what we just discussed in the above paragraph. This is a good thing when it comes to food matching, as it makes Tempranillo quite versatile. The acidity and tannin make it perfect for dishes such as pizzas and pastas, especially when some fat is present (i.e, some cream, oil or fat from the meat used on the pizza/pasta). Dishes cooked on a barbecue, where you get smokey aromas are also great matches with Tempranillo. 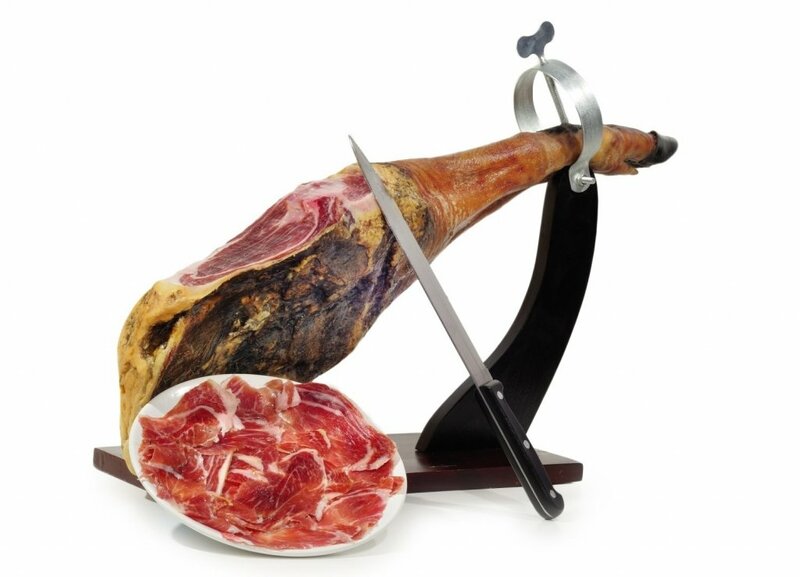 The food of Northern Spain will also be a beautiful match: roasted vegetables, and ham, especially Jamon de Bellota would work beautifully. 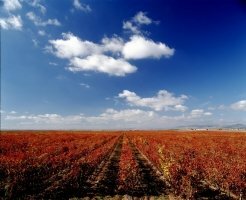 WHERE ARE THE BEST REGIONS FOR TEMPRANILLO? Young wines (Joven): This category guarantees the origin and vintage of the wine. They are usually wines in their first or second year which preserve their fresh, fruity, primary characteristics. Crianza wines: Wines which are at least in their third year, having spent a minimum of one year in casks. Reserva wines: Selected wines of the best vintages with an excellent potential that have been aged for a minimum of 3 years, with at least one year in casks. Gran Reserva wines: Selected wines from exceptional vintages which have spent at least 2 years in oak casks and 3 years in the bottle. Outside of Rioja, I already mentioned Ribera del Duero and Dao in Spain and Portugal. Further afield, Tempranillo is very widely used across the world. The grape is present in many many wine growing countries such as the U.S.A, in France, in Australia, Argentina, and many more. These all produce some interesting wines, but I think Spain still has the edge when it comes to producing stunning Tempranillos. Tempranillo has a lot of similarities with Cabernet Sauvignon. The two grapes share a comparable taste profile (medium to high acidity and tannin, low sweetness). Equally, the noses share similar aromas. Going to something maybe a bit more “out there”, I would recommend trying Bonarda, if Tempranillo is a grape you enjoy. Bonarda is also a bit rustic, with wonderful notes of plum and dark cherries. You can find some great examples in many countries, including in Argentina where my friend Matias Riccitelli produces a stunning Bonarda. Sheldon 2016 Springloaded Monkey Paw Luc’s Vineyard, Sonoma County, U.S.A.